The Enzukyo Bridge and Kogetsu Pond at Nishi Otani Temple in Kyoto City. The bridge was built in 1856. Popularly called Meganebashi (Spectacles Bridge), it is the only perfect arch bridge in Japan. 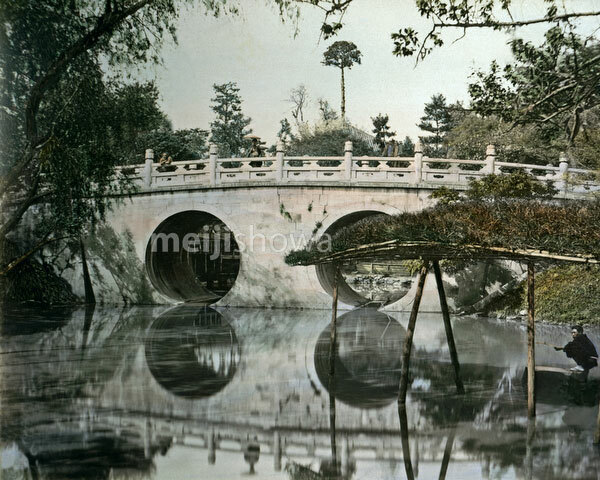 During the Meiji Period (1868-1912), the pond was famous for its red and white lotus flowers and attracted many visitors.